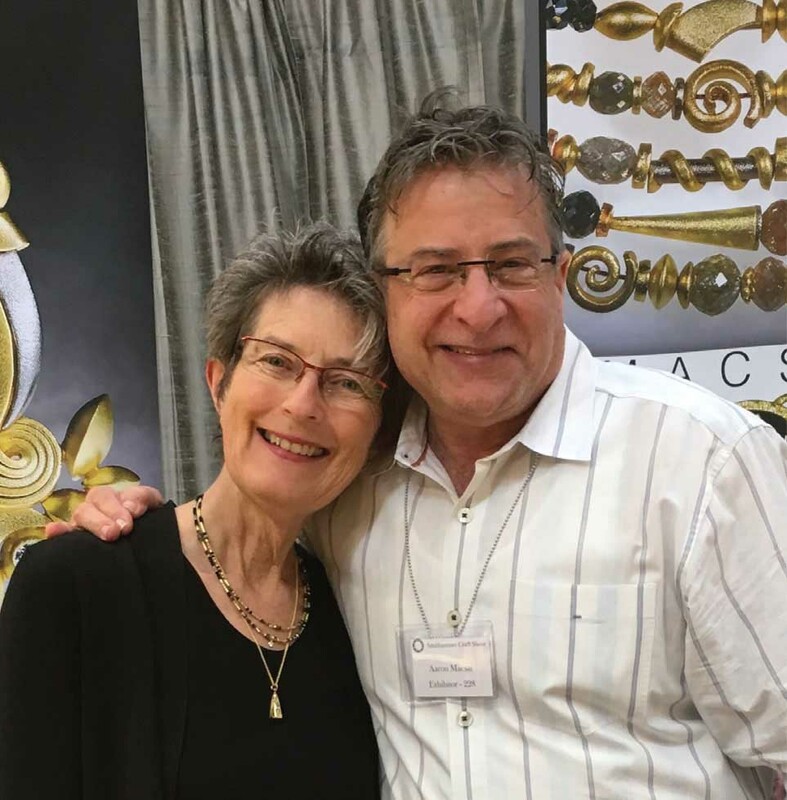 Two or three times a year, for 30 years, jewelry makers Aaron Macsai and Frances Kite exhibited their wares at the same regional art fairs. Macsai specializes in intricate, delicate metalwork, and Kite is a master in cloisonné enamel jewelry. They admired each other’s work and discussed their tricks of the trade. 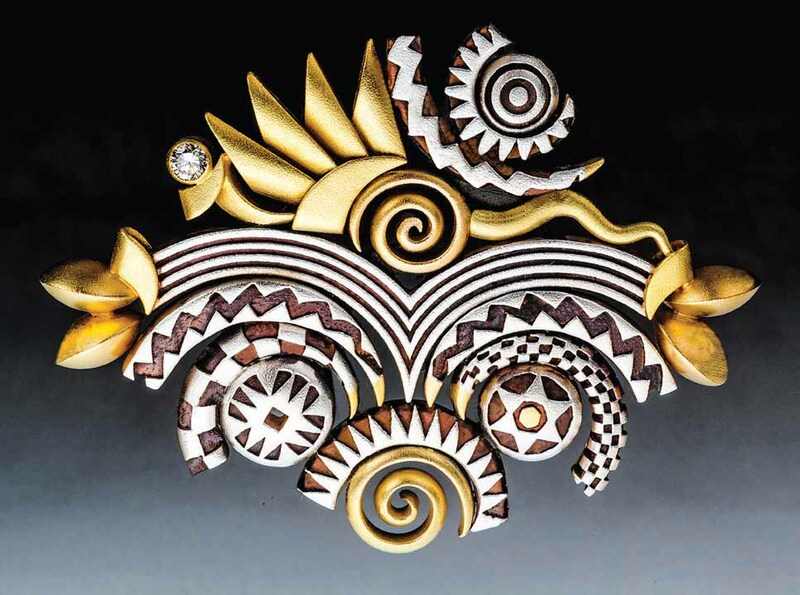 The artists maintained a close professional friendship for decades—before exchanging jewelry. Wedding jewelry. 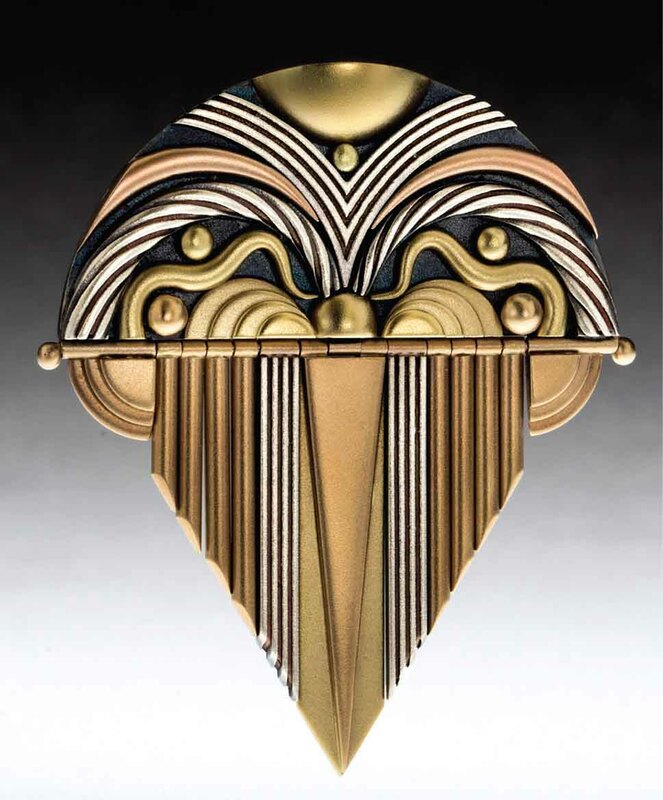 The husband and wife and 29 other fine jewelry artists will be featured at the 34th American Craft Exposition (ACE) September 20-22 in Glencoe. Against the backdrop of Chicago Botanic Garden (CBG), still aglow with the full bloom of summer, 140 of the country’s most celebrated artisans will gather at the prestigious annual Chicago craft expo. An estimated 8,000 visitors are expected to attend the three-day ACE show and kick-off Benefit Preview Party on September 20. All proceeds from the 2018 ACE support mental health initiatives at NorthShore University HealthSystem, including the creation of a Psychiatric Urgent Care Program to minimize wait times for patients in need of immediate care, as well as the implementation of a Collaborative Care Model for providing mental health services to families. Macsai, a 20-year ACE veteran, and Kite share a studio in their Morton Grove home, collaborating on new jewelry pieces and exchanging design ideas. 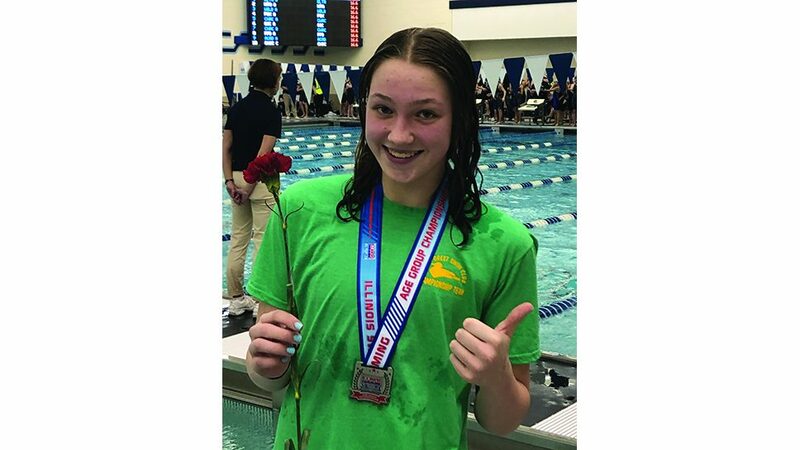 They have a close personal connection to ACE: after suffering from debilitating headaches for years, Macsai received successful treatment at the NorthShore University HealthSystem. Founded in 1985, the juried show is widely considered the United States’ most selective, prestigious craft expositions. 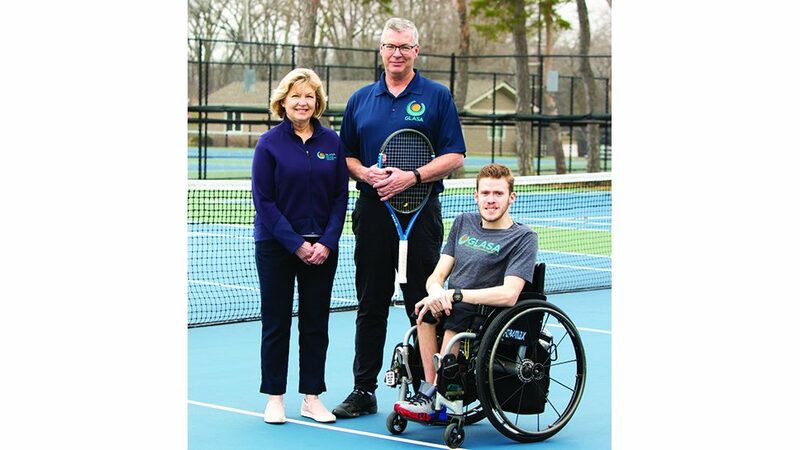 After three decades in Northwestern University’s Henry Crown Sports Pavilion, ACE relocated to Chicago Botanic Garden in 2016. “Once again, attendees will see dozens of their favorite returning artists, as well as many newcomers, all showcasing one-of-a-kind, museumquality pieces,” Sevcik said. 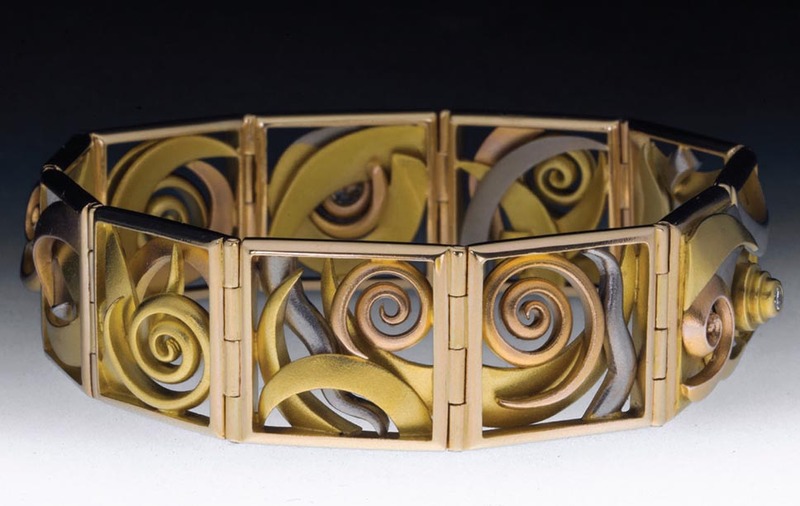 Judith Kinghorn, a jewelry maker based in Minneapolis, exhibits her pieces regularly at topnotch U.S. art fairs, including ones held in San Francisco and Philadelphia. But she particularly enjoys returning to ACE each year. Working intuitively from memory rather than a sketch or diagram, Kinghorn spends as many as 40 hours crafting one—just one—of her signature gold-layered chrysanthemums. 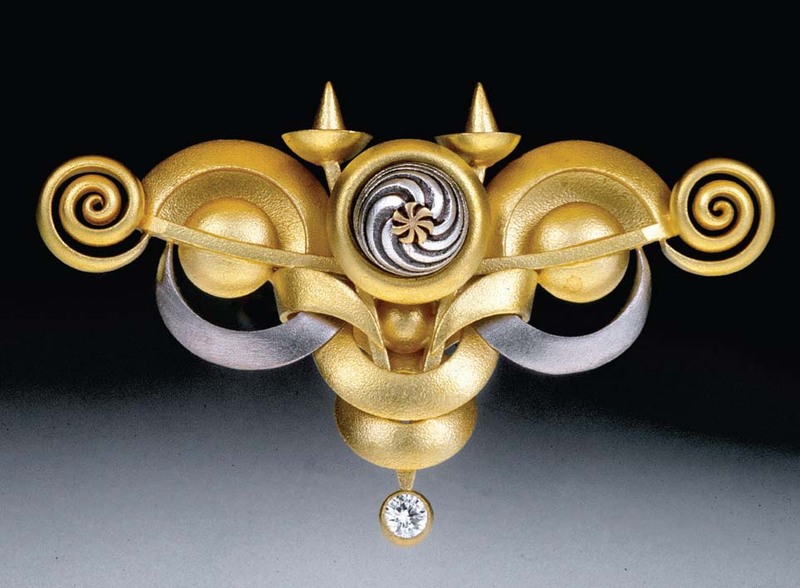 “I like contrast and texture,” Kinghorn said of her detailed, high-karat gold and silver brooches, necklaces, bracelets, rings and earrings. Kinghorn looks forward to reconnecting with her Chicago customer base and introducing herself—and her striking artwork—to new faces. Benefit Preview Party: Thursday, September 20, from 5:30-9 p.m. Ticket price is $200 in advance, $225 at the door, and it includes a three-day pass to the show. Jewelry makers Francis Kite and Aaron Macsai and some of their striking wares.